California is famous for its Zinfandel wines and the blush pink "White Zin" is one of the most popular styles in the United States. The popularity is only natural as these are very approachable, especially if you're new to wine and are looking for an introduction to semi-sweet yet flavorful reds. You will also find that both red and white Zinfandels are the perfect​ dinner wine. These are extremely versatile and pair perfectly with almost any food you're serving. The Zinfandel (pronounced ​Zin-fan-Dell) grape has been a cornerstone of the California viticulture scene since the mid-1800s. Originally thought to be a native grape from Italy, research carried out in the last part of the 20th-century revealed that Zinfandel's original roots were firmly planted in Croatia. Regardless of its Old World beginnings, it is a dynamic red grape that has made itself quite at home in the New World. This versatile varietal is known and loved undercover as "White Zin" by some and "Zinfandel" by red wine enthusiasts. Old vine Zins, made from vines that are typically over 50-years-old, are coveted for their intensity in flavor and color as well as an overall balanced style. In southern Italy, Zinfandel is known as Primitivo. You may see this on domestic labels as well. The Zinfandel varietal can be a little confusing because there are distinctly red Zinfandels and there are White Zinfandels (which are pink). Both wines come from the same Zinfandel grapes, and it is the process of making the wine that differentiates the two. Zinfandel, meaning the red wine, is known for its rich, dark color scheme, medium to high tannin levels, and higher alcohol content (14-17% ABV). The featured flavors of Zinfandel include raspberry, blackberry, cherry, plums, raisins, spice, and black pepper all wrapped around various intensities of oak. 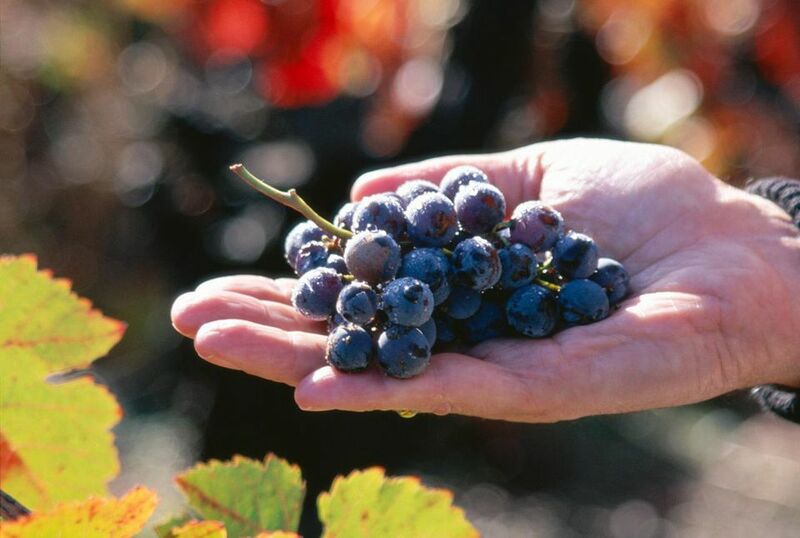 Red Zinfandels have a lighter body than other red wines like Cabernet Sauvignon and Merlot. The high tannins make it bolder than a Pinot Noir, which makes it a perfect introduction to red wines. White Zinfandel is made from the same red Zinfandel grape. The grape skins are quickly removed after they are crushed, so there is significantly less contact time with the heavily pigmented red grape skin. This results in a pink or rose-colored wine, instead of the deep red hue found in Zinfandel. White Zins tend to have a pleasant sweetness and are low in alcohol (around 9-10% ABV). They are also known to be very affordable (some wine connoisseurs may call them cheap). You will find that either style of Zinfandel is a great choice for dinner, though the White Zins tend to be a bit more versatile. Zinfandel pairs well with plenty of meat: lamb, poultry, beef, game, and some fish, under a variety of cooking styles (e.g., grilled, stewed, or braised). It continues to showcase its versatility with tried and true pairing favorites like fish tacos, spicy fare, or something as simple brats and burgers. White Zinfandel pairs well with a great variety of foods, ranging from Cajun to Asian cuisines, from barbecue chicken to heavy-duty seafood entrees. There is no great science to a White Zin pairing, and its versatility makes it an ideal wine choice for any meal. Many wineries produce Zinfandel, and it is one of the best-selling wines produced in the U.S. Among those vineyards, these labels are most notable. White Zinfandel is also made by a number of wineries, though Sutter Home and Beringer are the most notable and popular. That said, do not hesitate to try a new White Zin as there are many surprisingly pleasant wines out there to be discovered.